Victoria Falls is positioning itself as a luxury and adventure travel destination, ten years after Zimbabwean tourism plummeted. The town is polishing their attractions in preparation for the Football World Cup in South Africa. 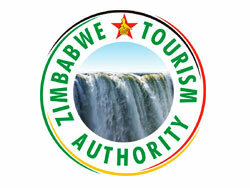 Ten years ago 1.4 million tourists visited Zimbabwe generating $400 million for the economy (Dh 1.46 trillion). Years of political instability and economic deterioration have caused most visitors to leave the county and those who do come generally stay across the Zambezi River on the Zambian side of the falls. Last year only 223,000 tourists came, generating $29.1 million. A local hotel manager said the tourism industry “is much better compared to last year when we did not have tourists because of political violence.” In February a unity government was formed stopping last years post election violence and stabilizing the economy, giving new hope to the tourism industry. Victoria Falls is a 90 minute flight from Johannesburg. The World Cup runs from 11 June 2010 to 11 July 2010.